The Living Dead at the Manchester Morgue kicks things off with an instrumental groove rocker, suggesting what a 1970s Italian cop movie scored by Serge Gainsbourg might sound like. It's called "John Dalton Street" and you hear it again as "Strait Jacket" and in different arrangements as "Manchester M2 GLD" and "Edna". The rest of the music is generally creepy and atmospheric. "Surreal" hints slightly at the main "John Dalton Street" theme and incorporates zombie groans and sighs in the music. "Trance" is a vocal only track, wordless and spooky. "The Risen Dead" is mostly wind sounds with occasional zombie utterances. "Aggression" starts ominously with organ and electric bass guitar. It reminds me of another piece of music but I'm not sure what. More haunted house-type wordless vocals contribute to the atmosphere. "The Death of the Dead" is a quiet industrial noise track, like some of the sound design you hear in David Lynch movies. "The Torment of the Dead" is mostly zombie groaning with weird electronic noises. "Mysterious Country" is the closest the music comes to being straight dramatic underscore, with strings, an acoustic guitar emulating the harp and ethereal flute and organ. "Southgate Hospital" is similar to "The Death of the Dead" and "The Risen Dead". "The Living Dead" begins with church organ and adds various other weird noises. "Drowned Guthrie" begins with a plaintive reed solo and then alternates between it and a laid-back but menacing groove for the rock combo and string section. "George" begins as a flute solo but that instrument is soon joined by the strings and other wind instruments. Horror Express is an old favorite. I read about it in The Psychotronic Encyclopedia of Film and wanted very much to see it based on the reference to Telly Savalas, one of my favorite actors, in the role of a "power-crazed Cossack". The movie transplants the action of The Thing (From Another World) to the Trans-Siberian Express and stars two other favorites, Peter Cushing and Christopher Lee. I don't suppose I'll ever forget the first time I saw it. I was in Paris for the first time, staying in a luxurious hotel on the Place des Vosges. 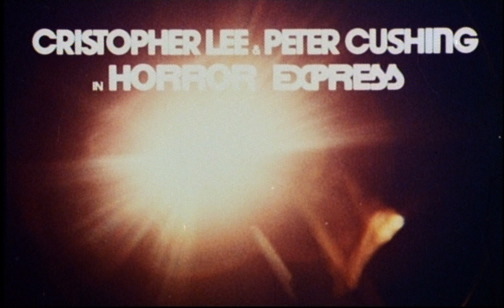 My first morning there, I woke up and turned on the TV to find that Horror Express was about to start! I called room service and stayed in bed. 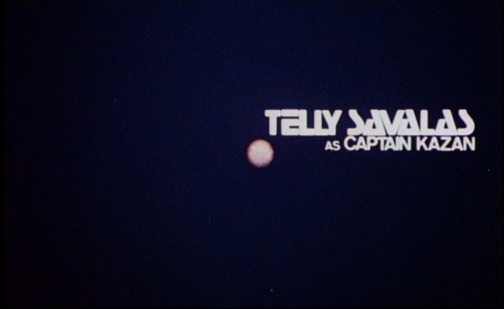 Composer John Cacavas and Telly Savalas worked together quite a bit, on Kojak and on Telly's pop albums, for example. The "Main Title" mixes children's song-style wordless vocals with what sounds like some Greek instruments in a waltz rhythm along with more traditional-sounding underscore. "Icy Search" is basically a continuation of this, followed by "Ballet — Russian", which does hint at Tchaikovsky in places but basically perpetuates the mood. "The Journey Begins" is a somber piece reminiscent of "classical music", at least in the beginning, before it reverts back to creepy music and horror stings for the strange and gruesome events on the train. "Pujaro's Theme" has some Twilight Zone-like blasts of bongos and electric guitars alternating with more plangent figures for the horns. The wah-wah and fuzz pedals come out for "Deadly Pursuit", a slow-motion acid-rock toe-tapper that manages to be romantic in places, even prompting memories of Henry Mancini's famous theme for Love Story. "Train" brings things down a notch, creating a serious but adventurous mood. This is followed by "Fugue", a suspenseful piece with martial snare drum and John Barry-ish harmonic movement. 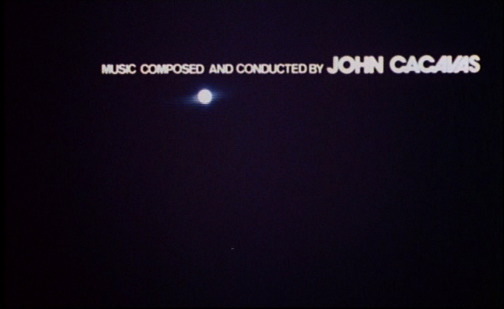 Finally there's the "End Title", a reprise of the main title theme, this time with whistling. It's great music. Makes me feel like watching it again—in Paris.